Quick and easy three cheese tortellini recipe, loaded with Italian garlic butter sauce. 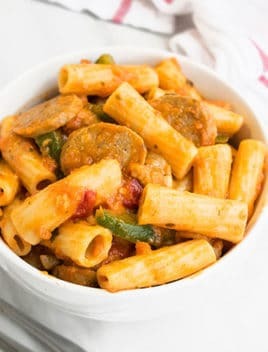 This 30 minute meal is made with simple ingredients in one pot on stovetop. 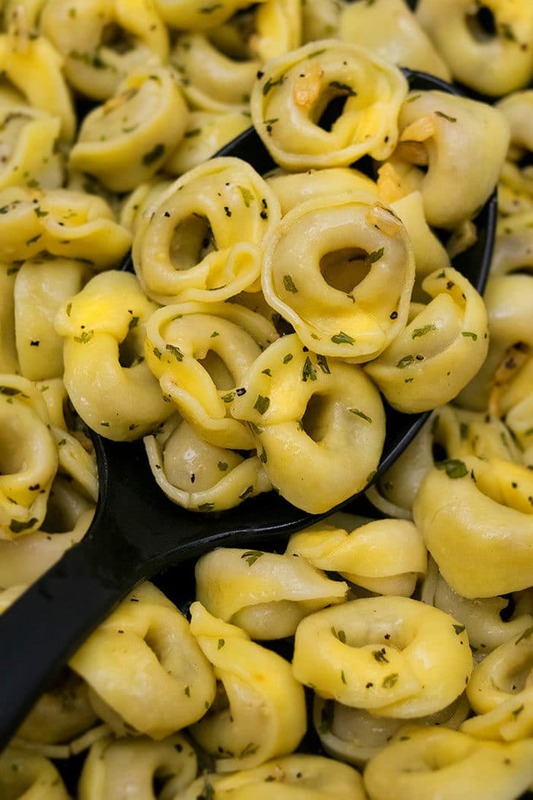 Since tortellini is inexpensive and easily available with lots of flavor varieties, they can be used in many delicious meals. If you love garlic as much as me, today’s recipe has to be the best way to prepare them for dinner. How do you make cheese tortellini with garlic butter sauce/ cheese tortellini sauce? Mix in dissolved cornstarch and broth. Garnish with fresh herbs and shredded cheese. 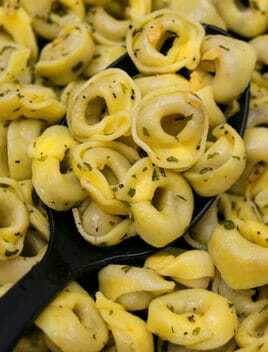 What kind of cheese is in tortellini? Typically, it’s stuffed or filled with ricotta, parmesan and romano cheeses. How long does cheese tortellini last in the fridge? It can last up to 3 days, if stored in a sealed container. This meal does not freeze well though and tastes odd when it thaws. -Use low sodium broth and butter to prevent this meal from becoming too salty. -For additional flavor, boil tortellini in vegetable broth rather than just salted water. -The amount of herbs and garlic can be adjusted, based on your preference. -Don’t replace fresh garlic with garlic powder because fresh always has a stronger flavor and aroma. -To thicken the sauce, do not add more cornstarch. Instead, cook uncovered on medium high heat until sauce thickens to your desired consistency. -If sauce is too thick, thin it out by adding some more broth. -Be sure to add a dissolved mixture of cornstarch because this prevents the formation of lumps in your sauce. 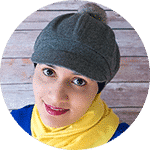 -Chicken broth can be used instead of vegetable broth. -Make lemon garlic sauce by adding 1 tsp lemon zest in the sauce. 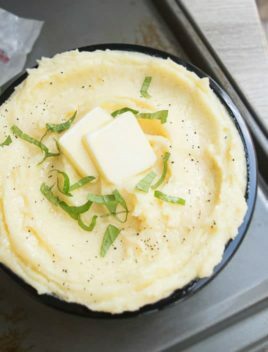 -For creamy garlic sauce, add some cream cheese or mix in some heavy cream. This would be similar to tortellini alfredo. 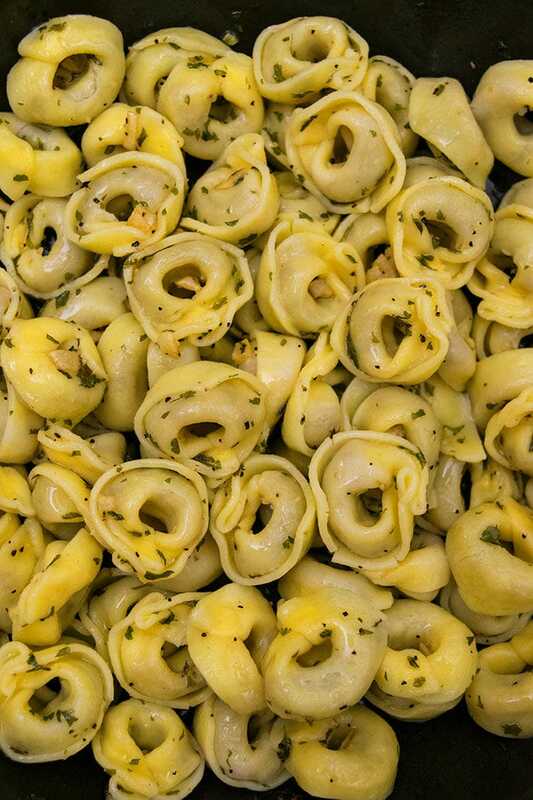 -Try other flavors of tortellini! There are so many flavors and varieties to choose from. -Add protein to this meal such as stir fried shrimp or baked/shredded chicken or cooked ham pieces or even cooked crumbled bacon. 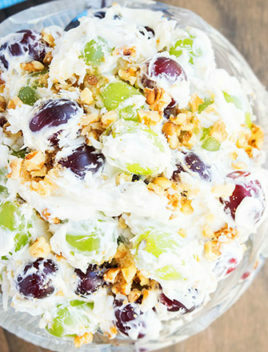 -Add vegetables like a frozen veggie blend or spinach. -Add a little spice by mixing in some red chili flakes. Quick and easy cheese tortellini recipe, loaded with garlic butter sauce. 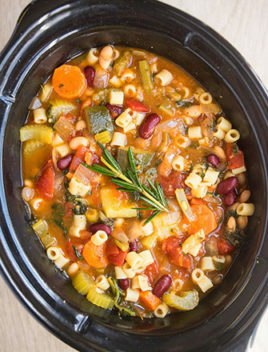 This 30 minute meal is made with simple ingredients in one pot. Boil tortellini, according to package instructions, in salted water. Drain and keep aside. In the same nonstick pot, heat butter and olive oil over medium high heat until butter is fully melted. Add garlic and saute until golden brown. Dissolve cornstarch in broth and pour this mixture in the pot. Mix in Italian seasoning, salt, pepper. Bring to a boil and let it cook, uncovered, until sauce thickens. Mix in the boiled tortellini until fully coated. Garnish with finely chopped fresh herbs like basil or parsley and sprinkle grated parmesan cheese. Enjoy!